Kailash Mansarovar is one of the holiest pilgrimages in Hinduism. 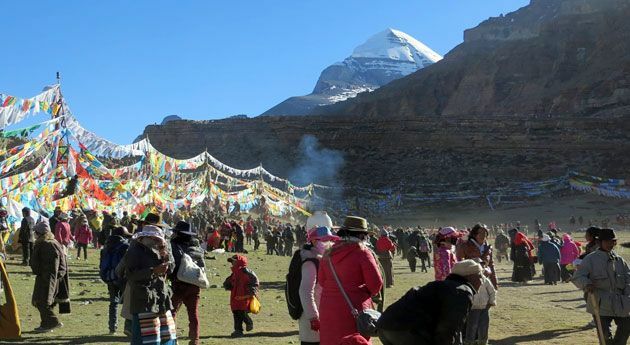 According to legends, Mount Kailash is the abode of Lord Shiva. To have a glimpse of the holy abode and a dip in the lake, it is one of the spiritual journeys one must take in a lifetime. 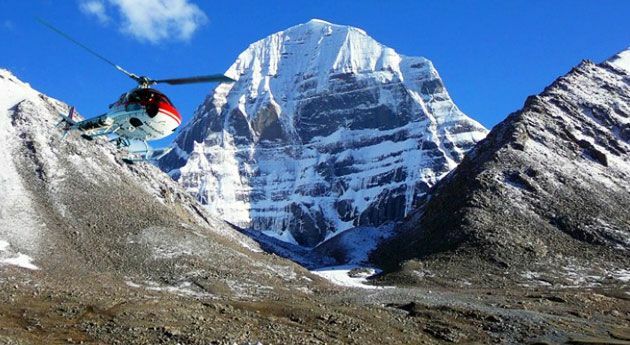 India Pilgrim Tours offers a 9-day Kailash Mansarovar Yatra by Helicopter, where one can drench in the bliss of the divine. The Pilgrimage is said to wash all sins of a lifetime with the darshan of the Mt. 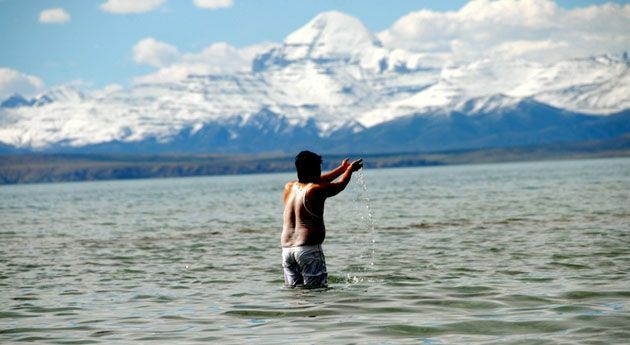 Kailash and a dip in the blessed waters of Mansarovar Lake. Wonderful scenic views is the other highlight. Take a holy dip in Mansarovar Lake in Tibet. Optional Parikrama of the holy lake. Trek to Dolma La Pass, the highest altitude during the pilgrimage. Walk through the Mani walls. 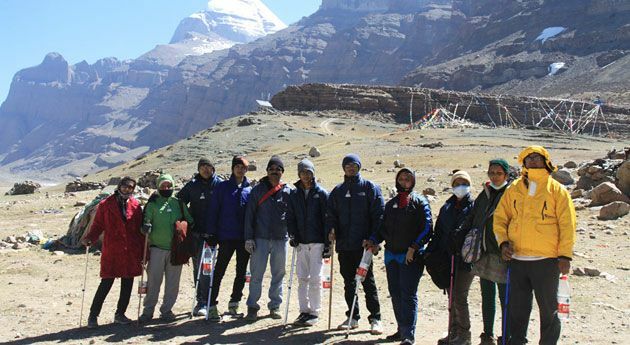 The holy Kailash Mansarovar Yatra begins with your arrival in Nepalgunj. Meet our tour representative and be assisted for transfer at the hotel. Overnight stay at Hotel. Today morning fly to Simikot (3000m) by fixed wing, a flight of 45 minutes. Continue with a helicopter journey of 30-minutes to Hilsa (3700 m.). Later, you have a 1-hour drive to Purang, a little town in Tibet. Here you will cross the border, there will be formalities and you can stretch your legs. On arrival in Purang, set at altitude of 3800 m., you will be assisted to the hotel for overnight stay. Today, the entire day is free of plans as you need to let your body acclimatize to the height. Prepare you body and mind for the hectic journey. Today morning begin your drive to Mansarovar Lake (4500m). After a 3-hour drive reach the holy lake in Tibet. The divine bliss you feel cannot be described in words. Take a holy bath in the waters dipping in the lake which is said to absolve sins of a lifetime and that too of 7 lifetimes. Do your Puja and other rituals on the lake banks. Overnight stay in a Mansarovar camp. Wake up before dawn if you want to do a puja or take a dip in the waters at the auspicious time of the day. Later, begin your drive to Yamadwar. After a 2-hour drive start walking to Diraphuk (4760m), which is a walk of almost 7-8 hours. Overnight stay in Diraphuk guesthouse. Today head to the trekking tour to Dolma-La Pass at 5650 m which is the toughest and steepest route throughout the journey. Today's trek is of 10-12 hours but you will feel refreshed in body, mind and soul. Enjoy viewing the holy Gauri Kund Lake, located just beyond Dolma-La Pass. From there you will trek downhill towards Zhulthulphuk valley. Spend an overnight stay at the Zuthulphuk guesthouse. Today walk to Mani walls, a trek of 3-4 hours. The Mani walls are stones on which mantras or devotional designs are inscribed, so called because they revolve around the familiar mantra "Om Mani Padme Hum". Touch these holy rocks as they are said to bring good luck and blessings. Later, drive to Darchen. After the 3-hour drive on arrival at Darchen, check-in the guesthouse and rest for the night. Wake up the next morning, and begin the road journey drive downwards to Hilsa via Purang. After reaching Hilsa, you will be taken to a guesthouse. Relax at the guesthouse, and enjoy your dinner and overnight stay at Hilsa. Wake up the next morning, and go aboard the helicopter to fly back to Simikot. Avail the flight to NepalGunj which brings you to the end of the holy pilgrimage to Kailash Mansarovar.